Jet Airways is facing acute cash crunch after posting two back-to back quarterly losses this year. 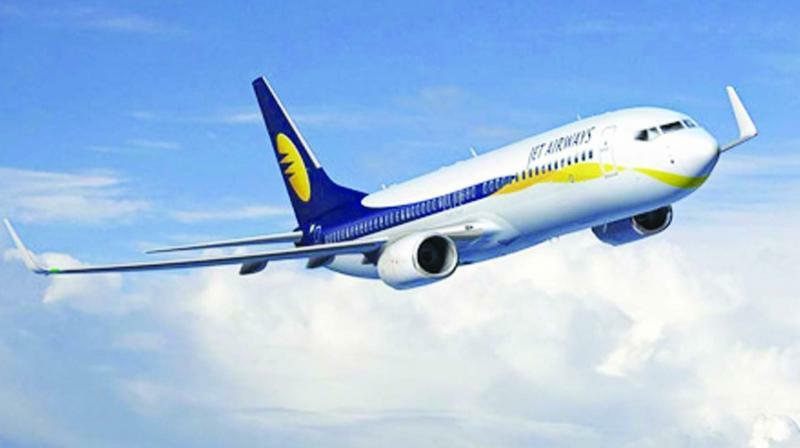 With Jet Airways delaying salaries of its pilots and engineers for the second consecutive month amid a severe financial crunch, its pilots have warned the management of "non-cooperation" over default on payments. "We would like to advice that failure to address the above points and not paying the salaries on time would lead to non-cooperation by pilots," they warned. Response to a query sent to Jet Airways on this was awaited. It had proposed an up to 25 per cent cut in salaries of its employees in late June but was forced to defer the plan following opposition from its pilots' union - National Aviator's Guild (NAG) - and engineers. "(Earlier) it was agreed that, henceforth, salaries would be paid on time and, if there were to be a delay, the same would be communicated to the pilots well in time," the pilots said.